Just like we all thought, right? 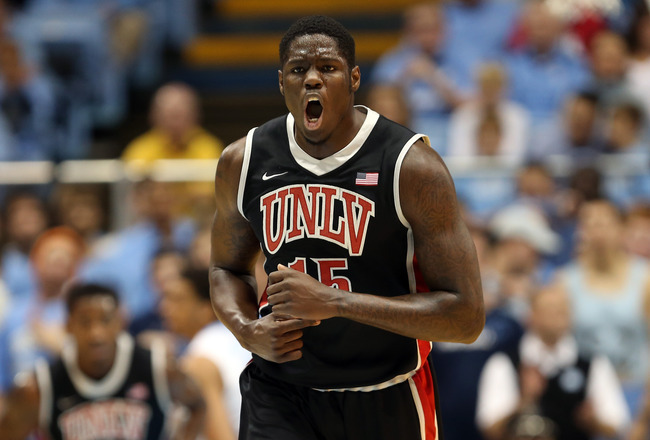 The Cavs’ selection of UNLV’s Anthony Bennett with the first pick in the 2013 NBA Draft was expected by … nobody, it seems. Certainly not anybody in the media or the mock draft industry, all of whom expected the Cavs to select Nerlens Noel, Alex Len, or Ben McLemore. Aside from a Tweet from ESPN’s Chad Ford moments before the pick was announced, most of us had no clue that the Cavs were going to select Bennett. At the Cavs’ draft party at Quicken Loans Arena, the reaction of the crowd was a giant “huh?? ?” Not cheering, not booing, just a whole bunch of thought bubbles over our heads with question marks in them. How wrong all of us were. In hindsight, Bennett was not only a reasonable pick; he was the only pick that made sense, given what we know about the vision that the Cavs (and, more to the point, Chris Grant) have for building a team. 1. The Cavs believe that a contending team is based on three players: two perimeter players who can create their own shot, and a big man who can score. Most of the teams that have won titles follow this pattern: two perimeter players who can create, and then a big man who can also score (preferably, a big man who can make shots from the perimeter, even from three point range). 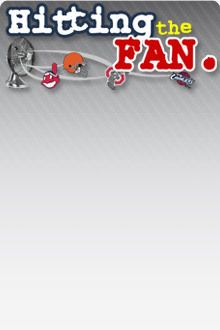 The Heat have it, wish James/Wade/The Spurs have it, with Parker/Ginobili/Duncan. The Celtics had it, with Pierce/Allen/Garnett. The Bulls of the 1990s had it, with Jordan/Pippen/Grant (and later Kukoc). Not every title-winning team neatly falls into this framework, but a majority of them sure do. In the previous two drafts, the Cavs drafted perimeter players who can create their own shots (Kyrie Irving and Dion Waiters). But they had nobody close to being that third leg of the stool. Tristan Thompson, bless his heart, was not put on this earth to shoot the ball. Tyler Zeller has range, but isn’t going to develop into an 18-20 point per game scorer. Indeed, the Cavs have been looking to acquire that interior scorer for some time. Virtually every trade rumor surrounding them recently has involved them acquiring a “stretch-four” type player such as Kevin Love or LaMarcus Aldridge – guys who can score at the rim, but can also hit jumpers from the perimeter. Guys who would be the third leg of the stool that the Cavs are trying to build. That’s where Bennett comes in. He was easily the best prospect in terms of big men who can score. Who else was there? Len never displayed consistent scoring ability in his two years of college. Noel inspires quotes that involve hitting water and falling out of a boat. If you were going to get an interior scorer from this draft, it was pretty much Bennett or nothing. Side note: I’m sure many fans are up in arms about Bennett’s height. “But he’s only 6’7”! That’s too small for a power forward!” My response: it’s about time we abandoned height as the measure of a player’s size, and started using the numbers that matter, such as standing reach and wingspan. Players don’t grab rebounds or block shots with the tops of their heads; it’s about how high they can reach. With a 7’2” wingspan and an 8’9” standing reach, Bennett compares favorably with guys like Love (who checks in with a 6’11” wingspan and an 8’10” standing reach) or fellow draftee Cody Zeller (also with a 6’11” wingspan and 8’10” reach). 2.Cavs draft without regard to positional need. They take the most talented player available, and will worry later about where that player fits into the roster. Probably the first question that came to Cavs’ fans minds upon hearing that Bennett was the pick (well, the second question, after “who?”) was “a power forward? So what happens to Thompson?” The answer is: it will all be sorted out later. When drafting high, it is a mistake to take a lesser player simply because that player seems to be a better fit on today’s roster. Get the talent in the building, and then worry about who will play where. Although Bennett may initially seem redundant on a roster that includes Thompson, they are actually very different players, and should be able to coexist on the same roster. Thompson can move to center, especially in smaller lineups. Bennett can play small forward in short stretches when the Cavs use a bigger lineup. And remember that there are 48 minutes available per night at power forward, and 48 more at center. A three-man rotation of Bennett, Thompson, and Anderson Varejao at those two positions means each of them can average more than 30 minutes per game. 3.The Cavs highly valueThey gravitate to players who grade out well by advanced metrics. The selections of Thompson in 2011 and Waiters in 2012 were driven by how well those players rated by the numbers, particularly the more cutting-edge statistics like player efficiency rating and usage percentage, and viewed through the lens of regression models that try to predict future performance. In retrospect, this reason probably explains why Len never stood a chance. He did not grade out well statistically, and does not project to have a stellar career. Of course, the numbers could be wrong; it’s all about taking educated guesses at the future, but even the best guesses can miss the mark. But it explains why the Cavs took Bennett instead of Len. Looking at it now, it is clear that Bennett was the obvious pick. So obvious, in fact, that it’s amazing that none of us saw where they were headed. As is so often the case, the path is clear only in hindsight.